Building a brand-new theme for RapidWeaver 6 was a ton of fun, and I'm super excited to have it included in the app along with lots of other great themes. And I'm just as excited that we get to release a Pro version through the Elixir site. While the Tesla theme that ships with RapidWeaver 6 comes with a lot of bells and whistles already, the Pro version takes things to the next level. It includes a lot of exclusive features that don’t come in the standard version. 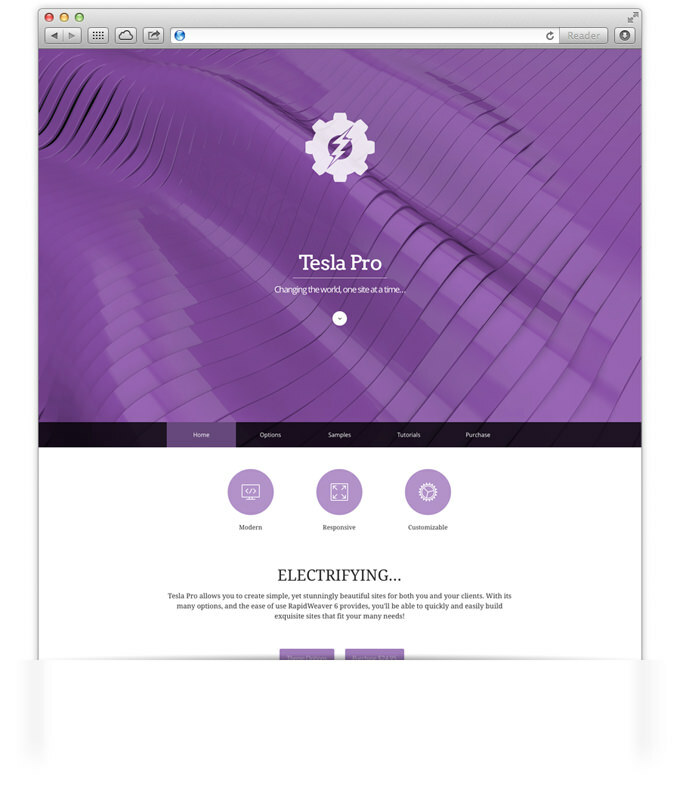 Tesla is a big, bold theme that let’s your content shine, and gives you flexibility over the way your pages are built. We think this Pro version will give you even more ways to customize your pages when designing your small business sites, portfolios, blogs and so much more. Be sure to check out the Tesla Pro product page to read up on all it offers, as well as to check out our overview and tutorial videos, along with our live preview site. If you need some great banner background images to use in Tesla’s banner area, be sure to check out our stock images section of the site. We’ve got a lot of great abstract stock art that works wonderfully as a banner background!